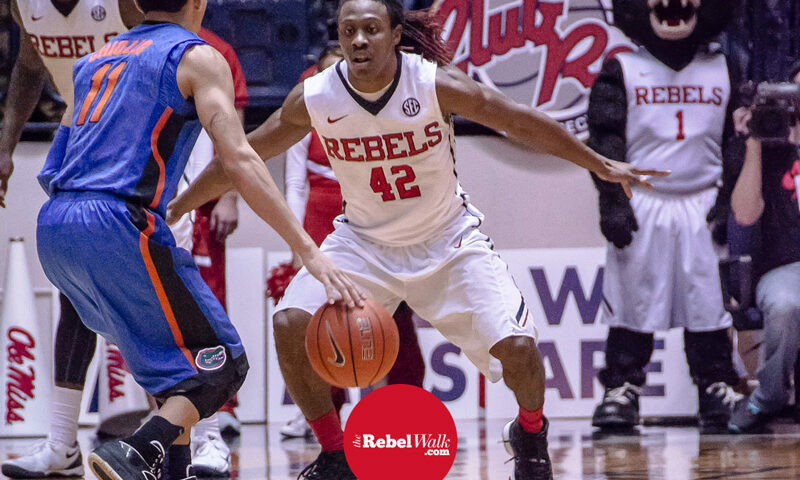 Senior shooting guard Stefan Moody has channeled all of his energy into preparing for what will be his final season at the University of Mississippi, and after an offseason of strenuous physical rehabilitation his intention is to help the Rebels get back to college basketball’s biggest tournament. Kennedy was absolutely correct about Moody, because the senior guard returned just in time for fall camp, even posting vine videos of himself shooting deep 3-pointers, some from half-court range, inside the Tuohy Basketball Center. With all that behind him now, Moody is eager for his return to the hardwood floor. 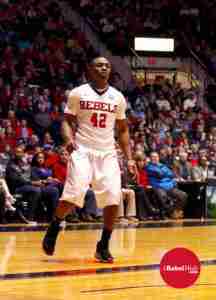 His left leg will not be a distraction for a Rebels team that will look to him for pivotal knock-down jump shots and key victories. Moody considers himself a “see-me-do-it” type of leader, who has been focusing on his leadership skills as well as his return to the game. I make sure that I play at a certain level, so when I say something to another person, they can’t say nothing to me because I’m going hard too. “I have been working on the vocal side of the leadership,” added Moody, who is the leading returning scorer (16.6 ppg) in the Southeastern Conference. With it’s star guard at full-strength, Ole Miss will have at least one primary scorer on offense, but what about everyone else? Who will join Moody to create a Rebels’ 1-2 or 1-2-3 scoring punch? Moody feels great about this year’s team, despite all of the attention centered around him, and he likes what he has seen from some of the newcomers. “Tomasz Gielo is the most athletic guy we have, I think,” Moody said about the Liberty University post-graduate transfer, who was a 40-percent 3-point shooter for the Flames. “Sam Finley and Rasheed Brooks have really made great contributions at practice,” he added. Moody and the Rebels reached the second round of the NCAA Tournament last season, and the 5-foot-11-inch guard was a key part of Ole Miss’ 20-win season. He scored a team-high 26 points in Ole Miss’ thrilling NCAA first-round, comeback win over BYU. It is clear Moody knows what it takes to win and is ready to assume a leadership role. The fact that there was Jarvis, there was Snoop, there were older heads so the leadership role for me was not as heavy,” said the preseason All-SEC First Team member. Now since I’m the oldest player on this team and kind of the face, I have to make sure that I hold myself accountable and hold everyone else accountable as well. Moody and the Rebels play an exhibition game tonight, November 5, at 6:00 p.m. (CT.) Their first regular season game will be November 13, at 6:00 pm in Oxford.